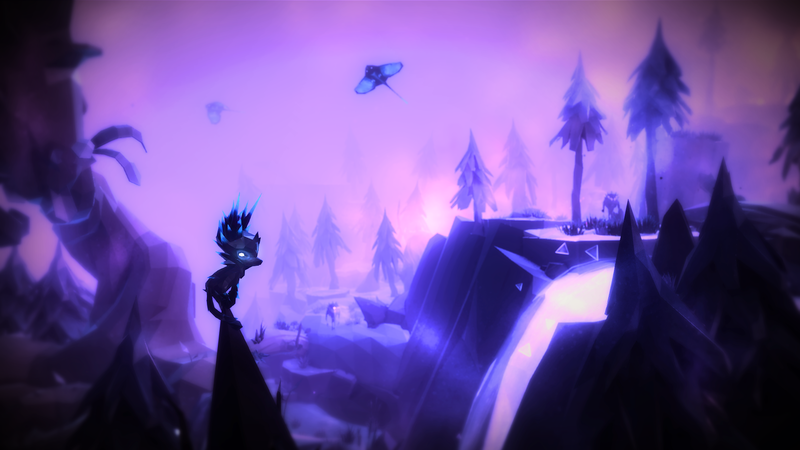 The minds behind Fe explain the decision to release the game on Switch, the art style, gameplay, and much more. 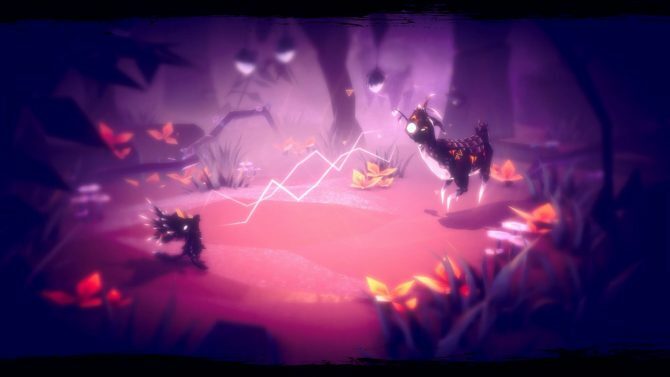 We have seen a few glimpse of Zoink’s indie darling Fe, that will launch for PS4, Xbox one, PC and Nintendo Switch under the EA Originals label. Yet, we don’t yet know all that much about the game. In order to learn more, DualShockers sat down with Creative Directors Klaus Lyngeled and Andreas Beijer, and they had quite a lot to say. 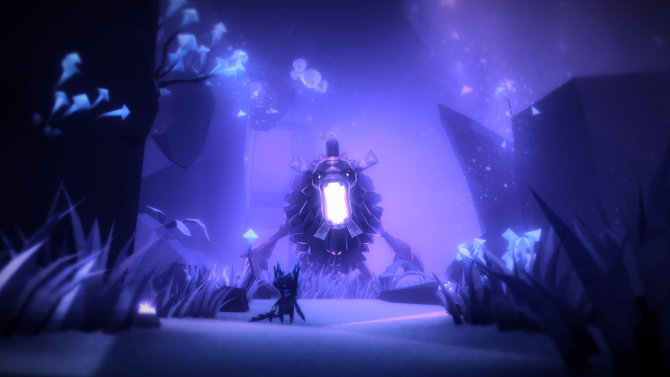 If you want to learn more about this lovely indie game, read on. Giuseppe: the big news at Gamescom was that your game is coming to Switch. What made you decide to port the game to Nintendo’s console? Andreas Beijer: You pushed really hard for that, isn’t it? Klaus Lyngeled: I did push really hard. AB: We really like the Switch. I also really like Nintendo’s fans. I feel they’re very open to new creative games, and I think they’re very positive for that. I thought it would have been cool to have it on Switch as well. G: Since you’re one of the only two games EA is publishing on Switch, for now, do you feel any pressure knowing that your game’s performance could influence the publisher’s support of the console? G: I certainly hope so (laughs). 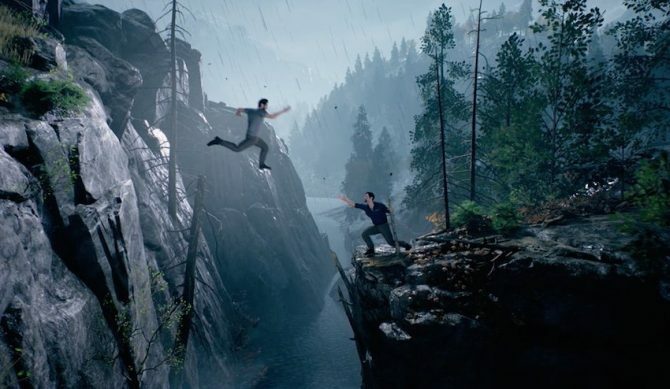 KL: I guess for me, as a developer, the biggest pressure right now is just finishing the game and making sure it runs really well… Making sure that it’s really good. I’m sure with EA’s marketing support, gong on stage and all that, it’s going to do really well. G: So what can you tell me about working within the EA Originals program. KL: It’s like having a really good book editor. It’s our idea, we created it. We came to them with a rather finalized idea. They already knew what they were signing on to. They also know that we’re indies, so it’s super-important to us to keep our integrity, to keep our style, and we’re super-happy with it. The people we’re working with are game developers and they’re very much into game design, and some times it seems that they know the game better than me. They come up with stuff that we didn’t think about because we’re so focused inside our development, and I think that’s exactly what they should do. G: So EA actually offers development support on top of financial support? KL: Yes. That’s a big part of it. They’re guiding us and helping out. G: Are they also supporting you on the creative side? AB: It’s more a matter of providing feedback. KL: Pretty much like a good book editor does. G: I imagine they also offer QA support? KL: They do that too. We need it. G: That’s always a big issue for a small team, after all. KL: That’s a huge problem, and it’s also very expensive when you have to hire someone from the outside, especially for this game, since it’s quite big. AB: It’s quite open too, and you can do a lot of different things with it. KL: There are a lot of things you can do that we probably didn’t even think about. G: What gave you the idea of Fe? What made you think about this kind of character in this kind of environment, and this kind of art direction that is very specific and unique. 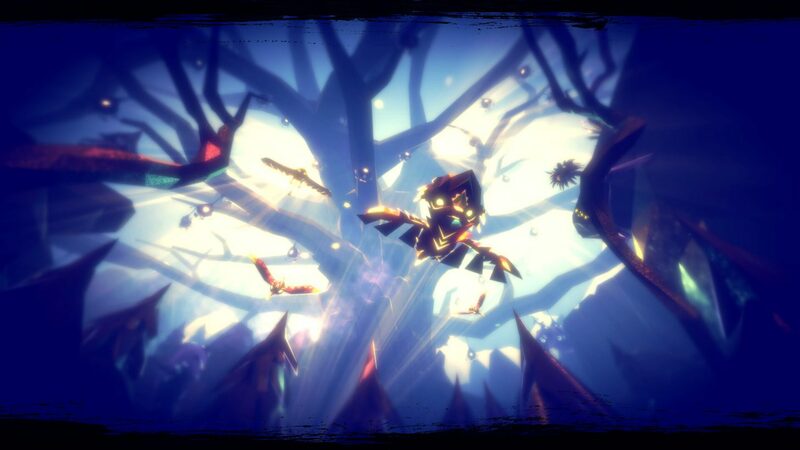 KL: When you create an indie game, you should try to do something very different, push the boundaries and try something new. AB: There are so many games out there, so you have to stand out. AB: … Quite easy to work with. That’s one side of it, because we’re a really small team. AB: About twelve people on this project. We needed something that was good for that. It’s a quite large world, so we needed to be able to build it fast enough. That’s one reason. Another reason is that it looks good. We needed something that stood out and was distinguishable from other titles. KL: Our story is very much about how nature has like a duality. It can be beautiful but also quite dark and scary in some place. 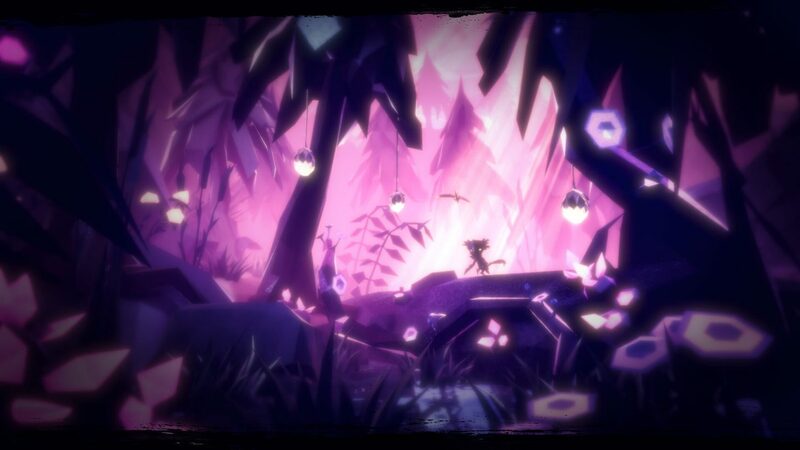 This art style is really fitting for that, because it has all these dark tones, a lot of contrast that can create a claustrophobic feeling some time, but then it can open up and be like “wow, you can see the whole world. It’s so pretty!” It has both those sides to it, and it really works well with the story itself. G: What engine are you using? G: That’s a very popular engine among indies. Since you’re working with EA, have you ever thought to work with Forstbite? KL: It’s an engine. It’s like what camera you’re shooting a movie with. Who cares, right? G: I guess some times an engine can influence a bit the vision of a game, isn’t it? Like, games made with Unreal, they often have a sort of common feel. KL: I don’t think so. I think that’s people who don’t break out of the engine and are just reusing the assets that are already in there. G: That’s true, I didn’t think about that. That’s why I’m just a journo and I just pretend to know about game development, but I actually don’t know all that much about it. What kind of message do you want to convey with Fe? AB: We wanted it to be sort of an open story. It’s inspired by being a kid and creating the reality around you with your imagination. We wanted to give that same feel, and hide a story within that. It’s partly a story on how to proceed into something new. How you communicate with others. AB: … Discover the story and be part of it in a new way. KL: And gluing those pieces together on their own, which makes it a lot more interesting. It basically becomes your own story. G: It’s kind of like Dark Bambi. AB: (Laughs) Dark Bambi… we could use that as a tagline perhaps. G: Do I get the name in the credits? G: Switching gears, what kind of work are you guys doing for PS4 Pro and Xbox One X, if any? KL: We’re still deciding all these things. We haven’t really figured it out yet. We will probably do something, but we just don’t know yet. G: Do you have any idea of how long the game is? AB: It’s a bit complex, because the game is not supposed to be played from A to B. We give you the main narrative, but then we sort of let you go freely from there. It depends a lot on how you play. It’s a big, living world. It’s big enough to get lost in, but small enough to get familiar with it. It’s really hard to say, actually. KL: I feel that some times games get too long. For me it’s more important that this game feels at that kind of length that makes you say “wow, this felt good.” I prefer to have a game that has you longing for more. I’m not saying that it’s short. I feel that it’s actually quite long. G: Do you have any final message to leave with me? KL: One thing that’s really important in the game is that you learn these languages. You can go out in the forest and communicate with all these animals. Depending on which animal you connect to, you can learn new languages, that way you can sort of unlock your way around the world. That’s a key element in the game. You have sort of like a musical instrument, using the analog triggers to actually control it. That way you can harmonize with different animals. You can get them to help you, to teach you new languages. AB: Even the plants. You can sing to the plants and unlock the world more and more. G: So I’m guessing you’re looking at ways to use the Switch’s Joy-Con controllers and the the HD Rumble for that? KL: We’re definitely looking at that. There are things we’re thinking about and playing around with. It would be very good for that, even if we’re not sure of the details yet. 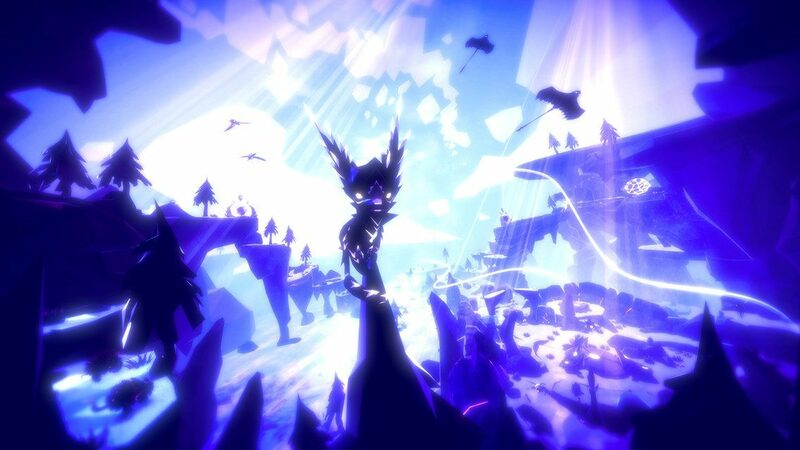 Fe will launch in early 2018 for PS4, Xbox One, PC and Nintendo Switch. If you want to see what it looks like, you can check out the latest trailer. 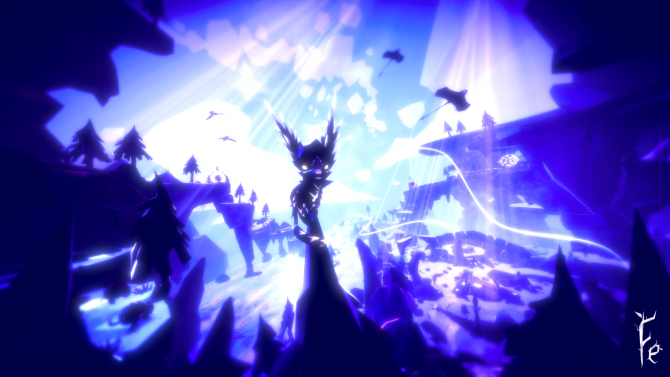 Electronic Arts' new indie darling Fe is coming to Nintendo Switch, and its developers explain that the reason is quite simple.